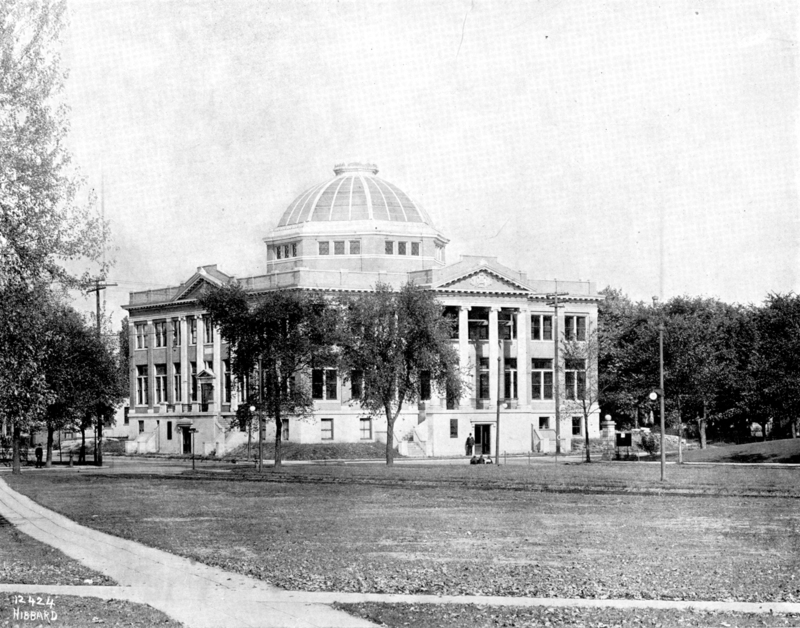 Known variously as “Dome City” and “The Dinkydome,” this 1915 building’s distinctive dome has long been a landmark for the University of Minnesota and the six-block area of Marcy-Holmes known as Dinkytown. Designed by architect John Koester, the building was originally home to the Minnesota Bible College. 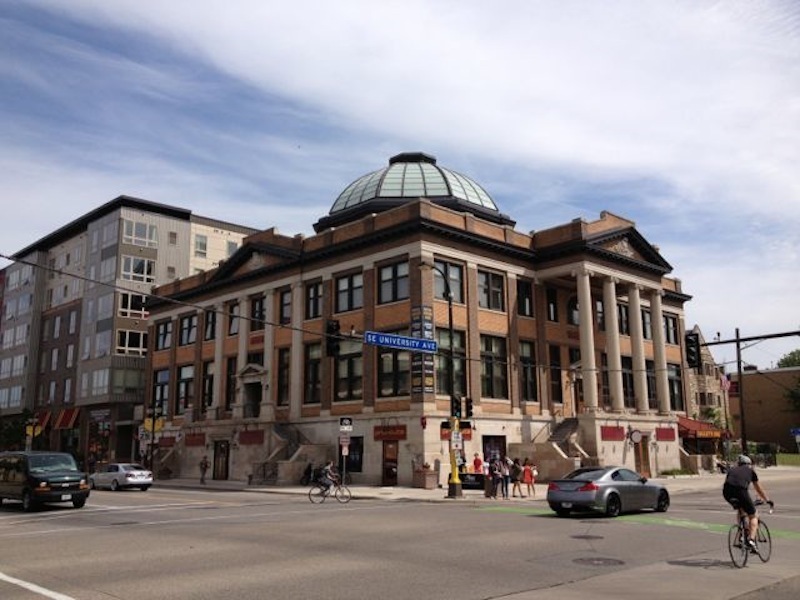 Although it has since been converted into a combination of retail and apartments, the building remains a Dinkytown focal point. It is uncertain where the name “Dinkytown” came from. Some suggest that the area, which borders the north side of the University’s Minneapolis campus, offered such a wide array of goods and services that it was like a small, self-contained town. Others theorize that the name came from “dinkey,” a type of small locomotive used to haul the rail cars that transported goods from the Mississippi River to other areas of the country. 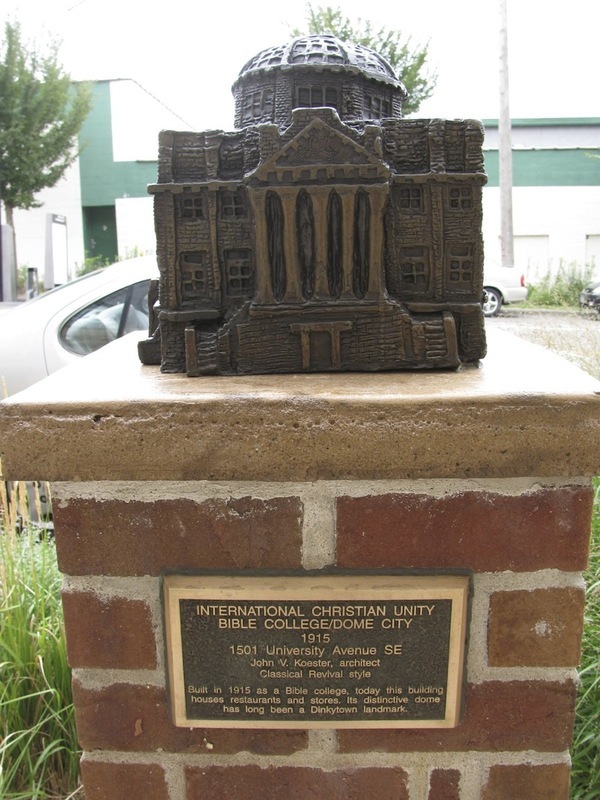 Marcy-Holmes Neighborhood Association, “International Christian Unity Bible College / Dome City (1915),” Minneapolis Historical, accessed April 22, 2019, http://minneapolishistorical.org/items/show/86.